Every trip to Kenya and Uganda over the past 9 years has been filled with trial and error, discovery and learning, implementation and modification. This trip was different. Upon visiting with some of our students, it was immediately apparent that our momentum has taken hold, that the fundamental programs we’ve developed are working. 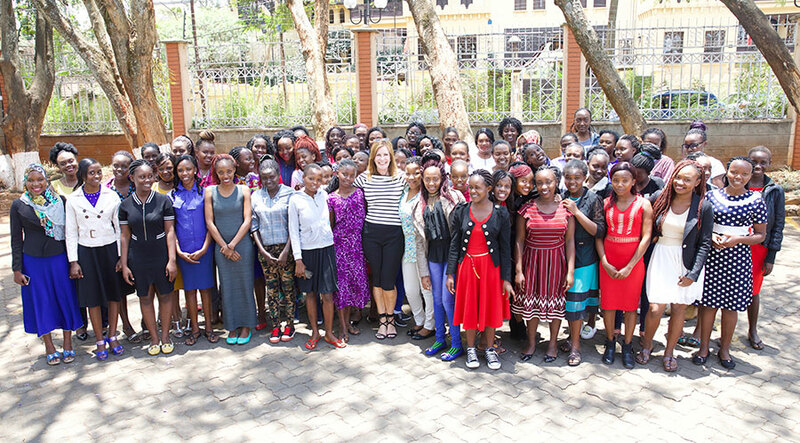 While we continue to embrace the belief that continual adaptation is the only formula for growth and accomplishment, it was thrilling to meet with a cycle of young women who prove that we are indeed moving the needle on gender inequality in Kenya and Uganda. 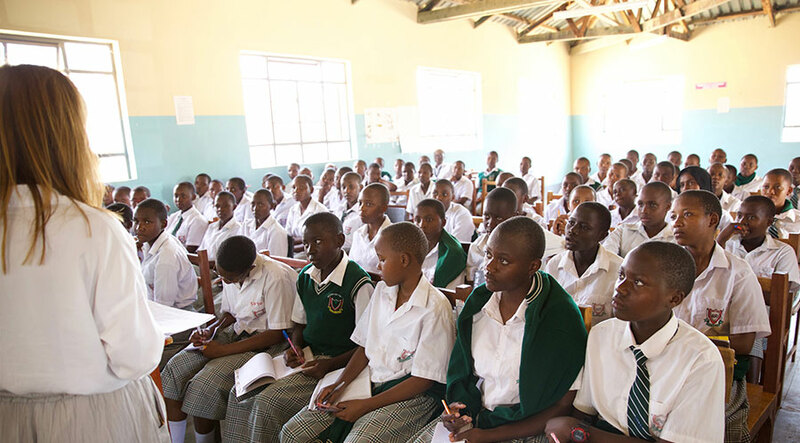 18 months ago, we first visited Masinga Girls School in an arid region of Kenya prone to drought and extreme poverty. The school had been built in 1978, but without regular funding to maintain the buildings and support the growth in enrollment, the school fell into disrepair and became overcrowded. We began to invest in new buildings, as well as the students, through scholarships and career workshops. The change we saw during this visit was striking. In 2013, we recognized a need for a scholarship program to ensure the brightest girls from the poorest backgrounds would get a chance to achieve their full potential, both in high school and later in university. Ultimately, her success in realizing a substantial career would have a multiplier effect on her family, her children, and her community, who would benefit from her financial achievement. Once we started offering scholarships to girls, and I had the opportunity to read their heartbreaking stories of struggle and hope, I began to understand that there was more we could do for these girls than just construct buildings and pay their school fees. They needed successful female role models to build their confidence and give them basic tools like goalsetting to show them that anything is achievable with a vision, a goal and plan. 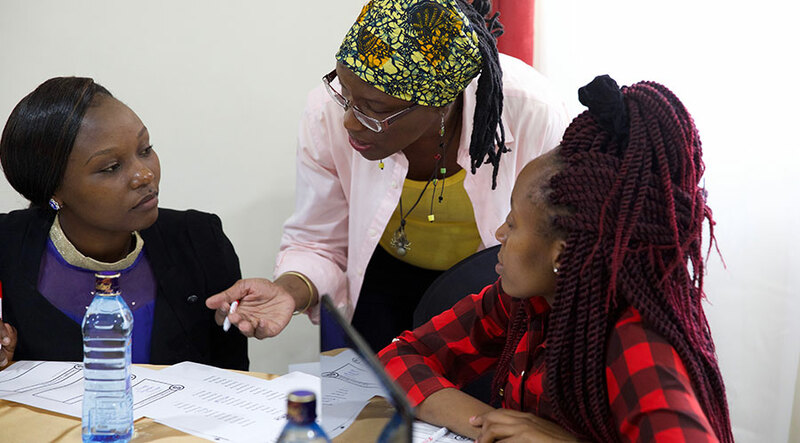 We assembled a team of successful Kenyan women who wanted to share their knowledge and experience, and together we have been coaching and mentoring 4000 high school girls a year. All our university students are invited to our 2-day conference in Nairobi called Becoming the Best Version of Me to prepare them fully for the careers they’ll soon be qualified for. To view more images from the trip, click here.